For many of us, our homes are our castles. Shouldn’t we want the same for our dogs? 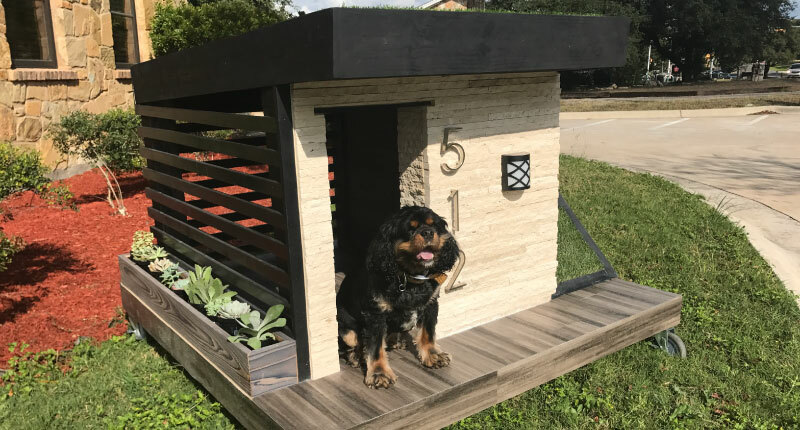 Companies like Le Petit Maison are giving our furry friends their own custom-designed dog houses, complete with natural stone details. 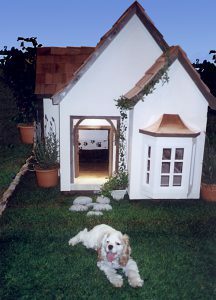 The Laguna Dog House, designed and built by Le Petit Maison, features natural stone landscaping, a stone floor and stairs. 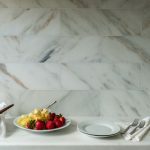 Both Allen Mowrer and Michelle Pollack of Le Petit Maison love natural stone and try to incorporate as much into their designs as their clients will let them. “We love to use it in all sorts of creative ways,” admits Pollack. While the company’s focus are custom playhouses, the duo has completed a fair amount of custom dog houses, too. Their clients range from celebrities and high-profile people to everyday families who simply want a fun house for their dog or child, says Pollack. No feature is too large or too small to add to a custom project and client requests everything from air conditioning to climate control. “We find that almost all of our clients love the entire design and creation process with both the playhouses and dog houses,” says Pollack. Typical clients request a replica of their home, or a modified style they create for them. To get started, Le Petit Maison needs basic information from the client such as size, where the dog house will be located on their property and their budgeted price range. “We usually help them with the style, since many times we copy a person’s main house and or create a style from scratch for them,” notes Pollack. The French Chateau, designed and built by Le Petit Maison, features a slate porch and path. 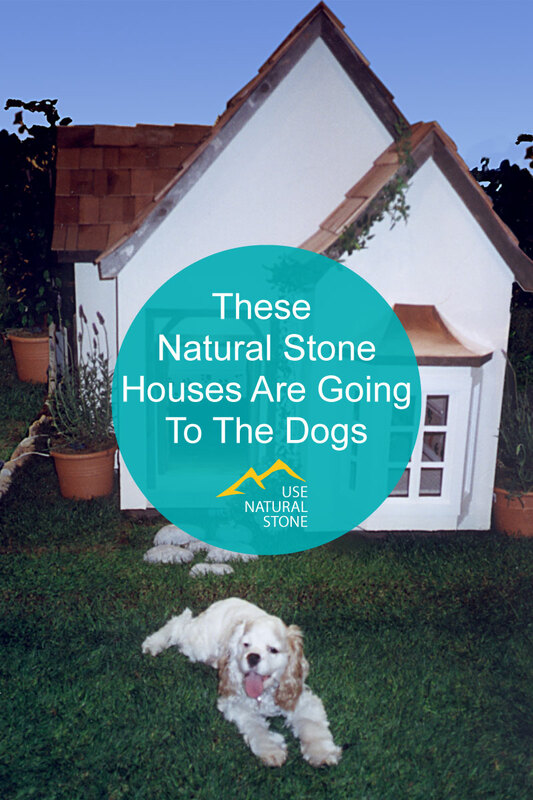 Some natural stone features found in their dog houses include stone landscaping, floors, stairs, a slate porch and path and all-marble flooring. 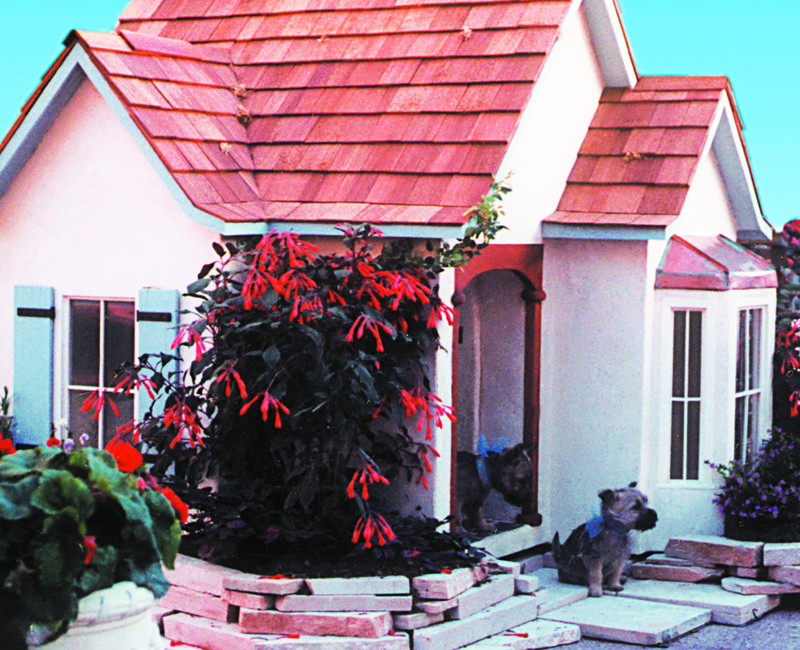 Custom-designed dog houses range from $5,000 to $15,000 and up. Sheena McKnight, purchasing director for Zbranek & Holt Custom Homes, a luxury design+build custom builder specializing in high-end residential construction, oversaw the company’s first dog house design for a charity event last year which also won a couple of awards for its innovative design. The company was approached by an Austin-based custom dog house design show and charity fundraiser called Barkitecture. 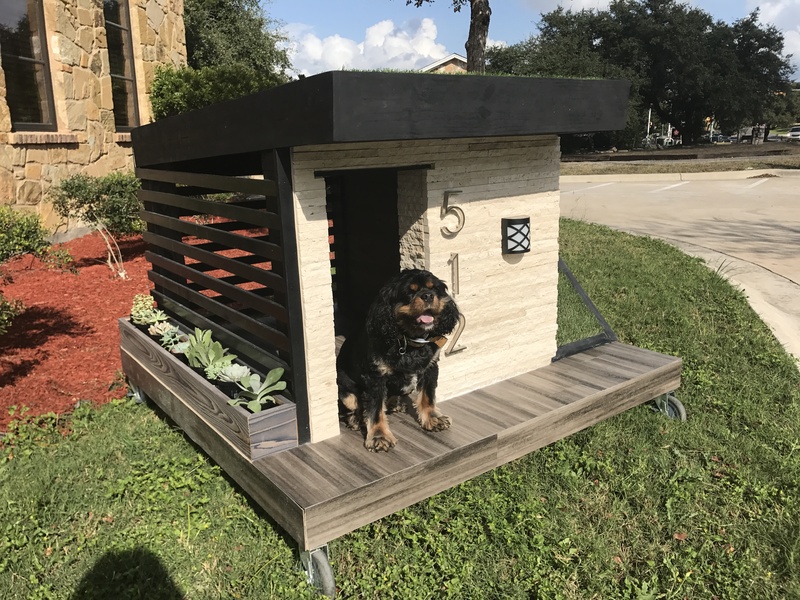 Hosted by Animal Lovers of Austin, funds raised through the silent auction of one-of-a-kind dog houses created by Austin’s best and brightest architects, designers and builders benefit local animal non-profit organizations. McKnight says that Zbranek & Holt Custom Homes only builds “people houses” but admits they could be persuaded to include a matching dog house with a project. Barkitecture’s award-winning Mini Modern Mansion, designed and built by Zbranek & Holt Custom Homes, features a contemporary design complete with a thin stone veneer on the front facade of the house to give it a realistic look. 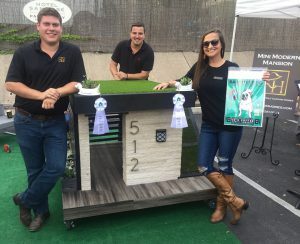 “The stone gave it the curb appeal we were aiming for,” says Sheena McKnight, who oversaw the company’s first dog house design for the charity event last year. The team had a great time participating in last year’s event and to have helped raise money for a great cause. They’re returning this year and while she wasn’t willing to divulge their design, she says they have some really unique ideas up their sleeve. They’re motived as they took home Best in Show and People’s Choice award last year and hoping for a repeat this year. 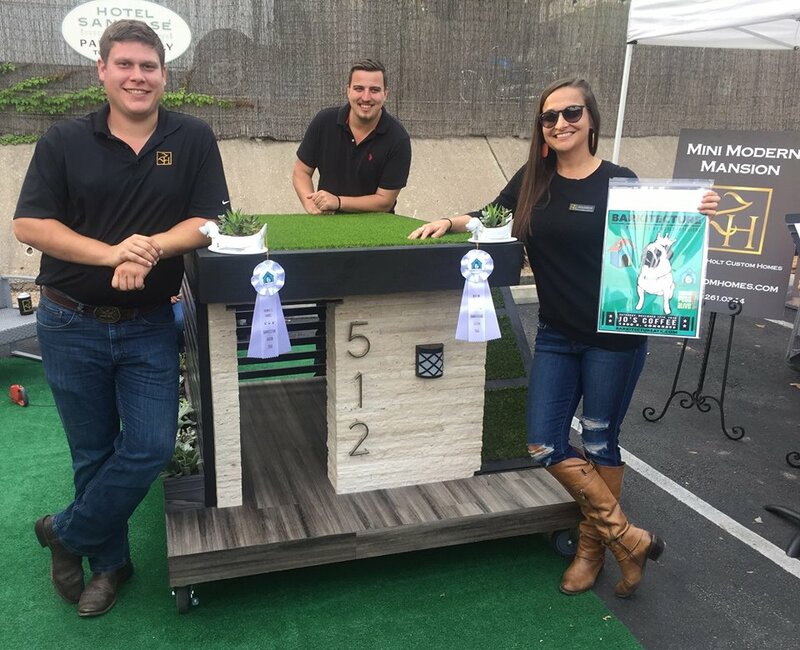 The winning Mini Modern Mansion features a contemporary design, perfect for the modern dog. The lattice work provides ventilation while the solid walls give your furry baby privacy to relax. A ramp provides access to the rooftop deck. 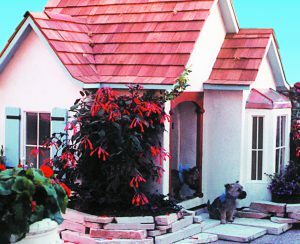 Their object, McKnight says, was to build a doghouse that resembled a real house, but was designed with the function of a doggie lifestyle in mind. 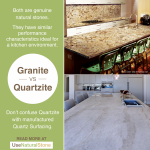 Natural stone also played a role in the overall design. They also incorporated a solar light, which was both a functional and aesthetic element. Bentley, the furry model in the images, is no stranger to posh digs. He’s McKnight’s sidekick and has been following her to work his entire life. “He’s the Z & H office mascot and doesn’t realize he’s not a human,” she admits. He and his younger brother will be returning to Barkitecture this year to make their case again for top dog. Bentley, office mascot for Zbranek & Holt Custom Homes, models the winning project. 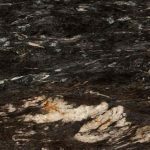 What some homeowners may not consider when it comes to designing a dog house with natural stone is that stone, even a thin veneer as was used for last year’s project, is extremely heavy. “It makes transporting the doghouse very cumbersome,” says McKnight. To make it easier to move around, the team incorporated locking wheels into the design. It was one of the best design decision they made, adds McKnight.